Last weekend, I crocheted a hat for the first time, for my boyfriend! 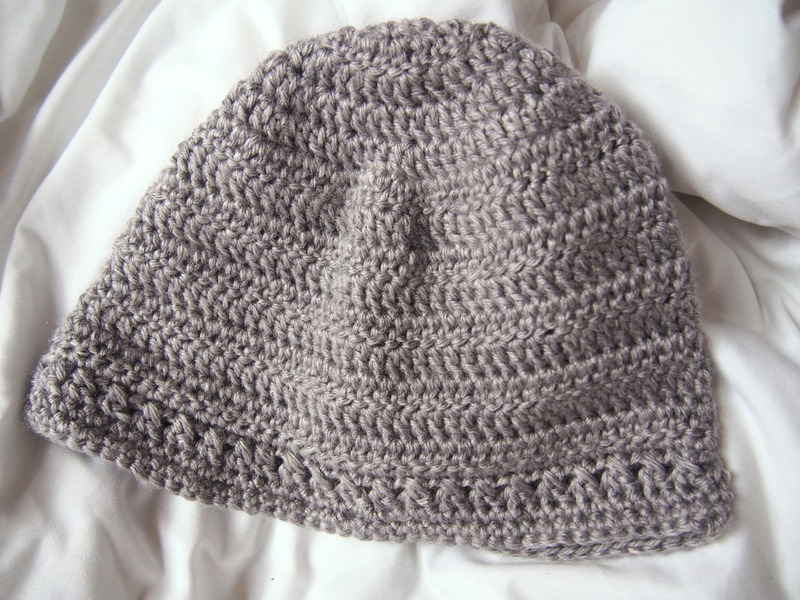 I’m always a bit surprised at how quickly crocheting goes, this little accessory was completed in just one afternoon. It’s a simple and basic hat pattern, but I’m hoping he’ll be able to wear it on chilly evenings on his walk home from work. This is opens up many possibilities for a men’s section in the shop! 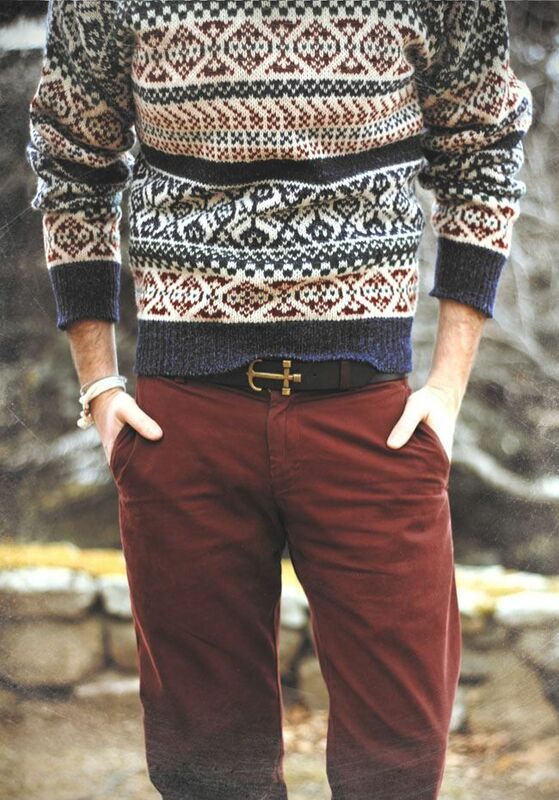 In the meantime, here are some menswear knit style inspirations. I have no fancy designer bag, but I do have a tote bag full of knitting and crocheting goodies! 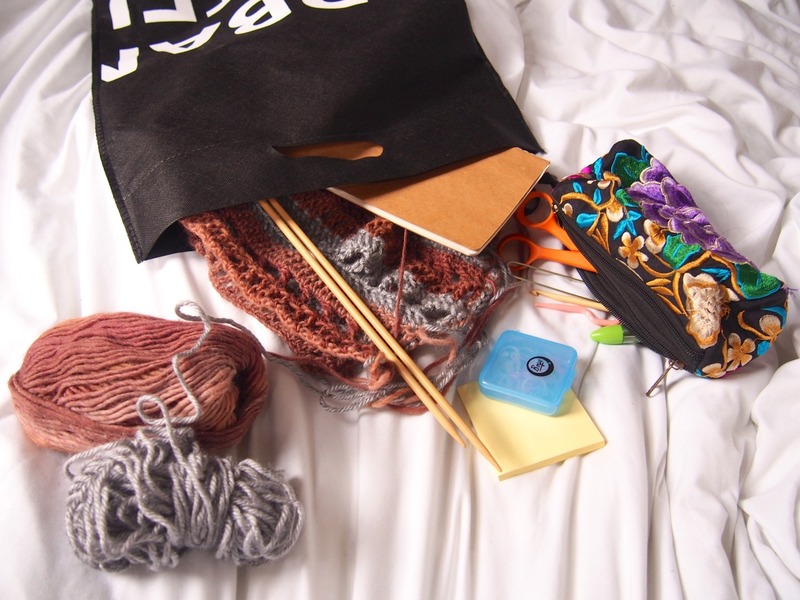 Here is my spin on those popular “What’s in My Bag” posts, as a knitter. Fun fact: I have never bought a bag without zippers in my life. 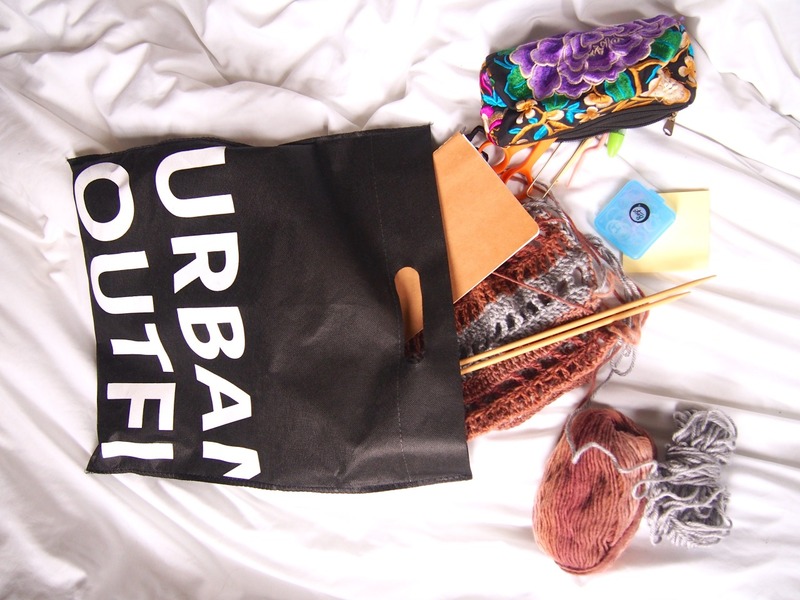 Most of the time, I carry my knitting around in a freebie tote like this one from Urban Outfitters, or ones I pick up from work trade shows. However, OtterburnPQ, offers some great bags designed specifically for knitters and their projects. Storeowner and designer Jésabelle was featured in an interview here last year! Current Project – pretty self explanatory, it is what it is. 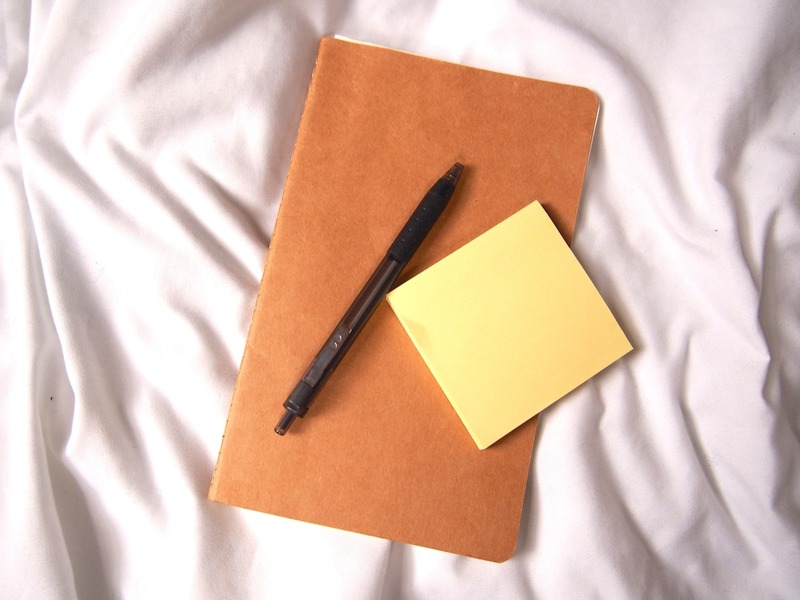 Small Notebook – I love the office supplies at Muji, especially their pens and notebooks. This one is so minimal and lightweight, plus blank pages provide more flexibility for when I feel like scribbling calculations or sketching. I’m on the lookout for a small notebook with graphing paper, so please comment if you know of one! 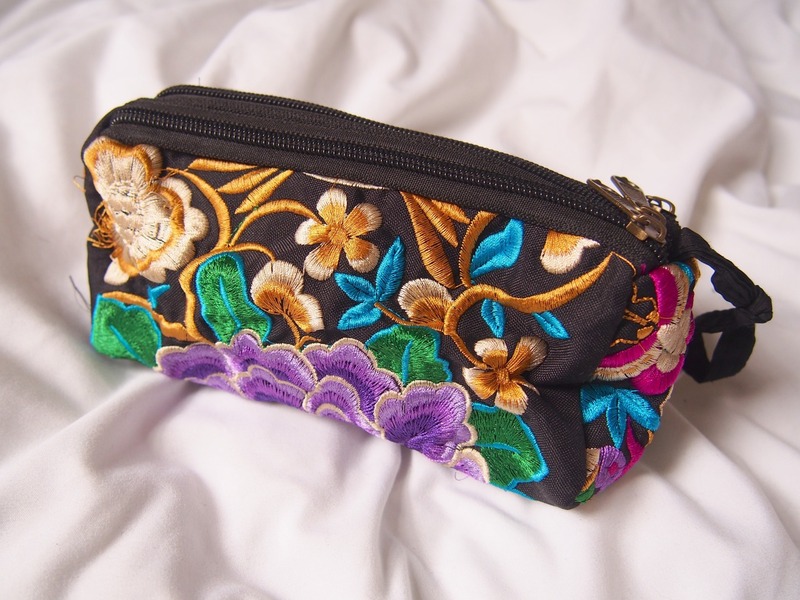 Those little tools are stored in the loveliest little embroidered bag gifted from a co-worker. 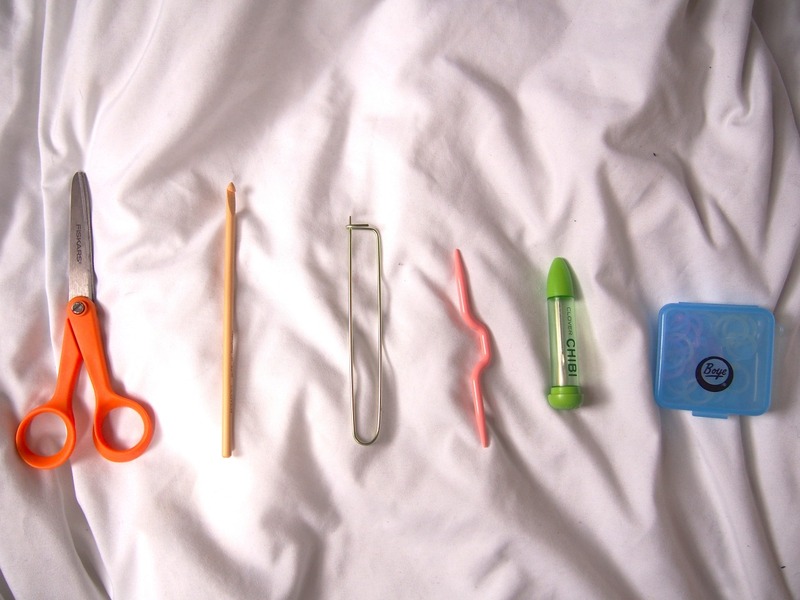 Readers, what do you always have to carry in your knitting bag? I had the pleasure of interviewing Emily from the Etsy store Nothing But String this week. 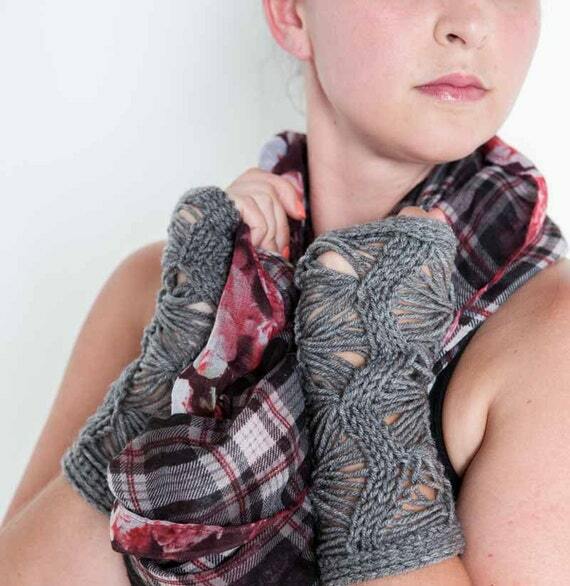 Nothing But String carries fun hand-knit trompe-l’œil mary-jane socks and owl gloves among other creations. 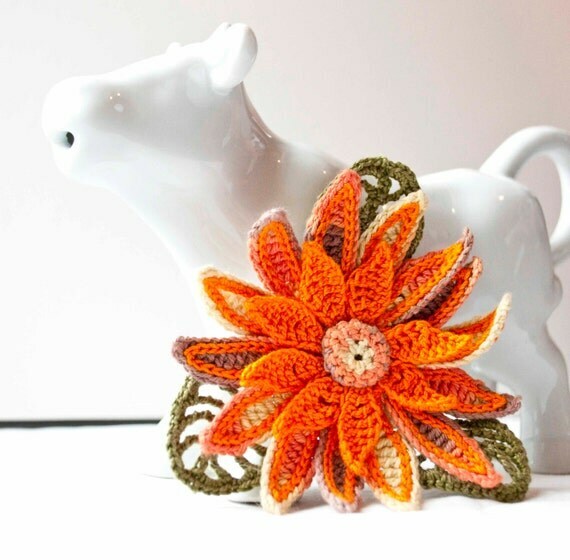 The items are bright, cheerful, and showcase Emily’s incredible skills. 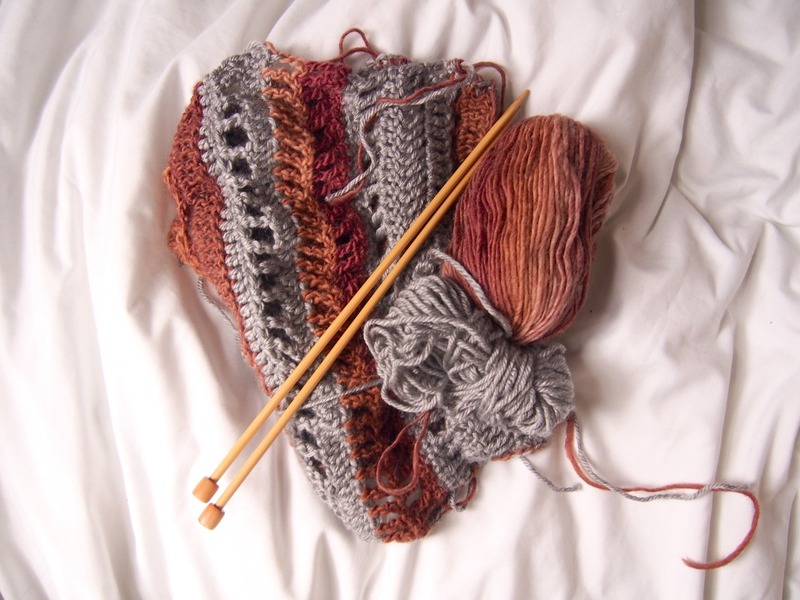 How did you learn to knit and crochet? I originally learned to crochet from my Italian grandmother. I was about 7 when she first started teaching me. She was a master crocheter that made handmade dresses, skirts, jackets and sweaters for her clients. This was a good 60 years before the internet so her client base were the folks that lived in town with her. Word traveled fast about the wonderful work that she did. As far as knitting goes I’m totally self taught. 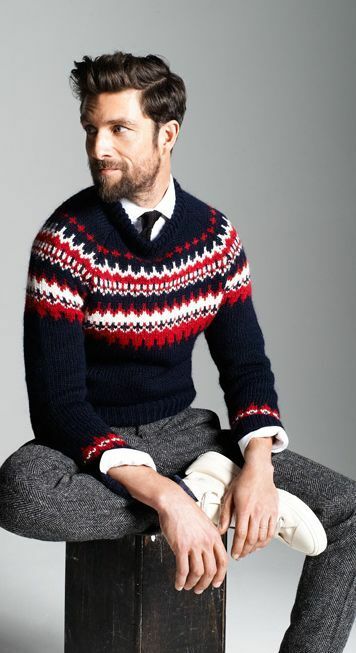 As a teenager my mom couldn’t afford all the cool sweaters that I wanted, but she could afford the yarn, so I learned how to knit my own sweaters. This was in the early to mid 70’s (I’m showing my age here) when it was really uncool to knit or crochet, so I kept it to myself, but I had some of the best sweaters going. What inspired you to begin a business? I had actually opened my Etsy account in May of 2008. One week before Christmas I was laid off from work. I started applying for a new job right away, but January, February, and March are the worst times of the year to go job hunting. I was getting pretty discouraged, when I remembered my Etsy account. I figured well it couldn’t hurt to start selling some stuff, maybe I’ll make a little money. Well one thing led to another, and I never did get another job. Etsy became my full time job, and I’ve never looked back since. 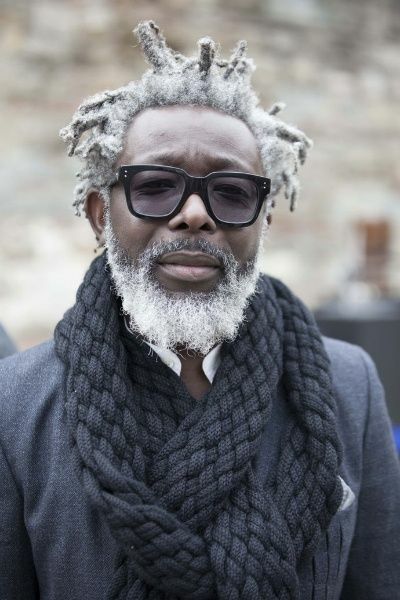 What do you think is the biggest difference between designing for men and for women? The biggest thing for me is color. I’m a very bright and colorful person (as you can see from my shop). I find it exceeding difficult to stick to the more traditional male colors, black, grey, brown etc etc. I’ve resorted to asking my husband if he’ll wear a certain color and I go from there. Where do you look for inspiration for your designs? Inspiration is a funny thing for me. Things just seem to pop into my head. 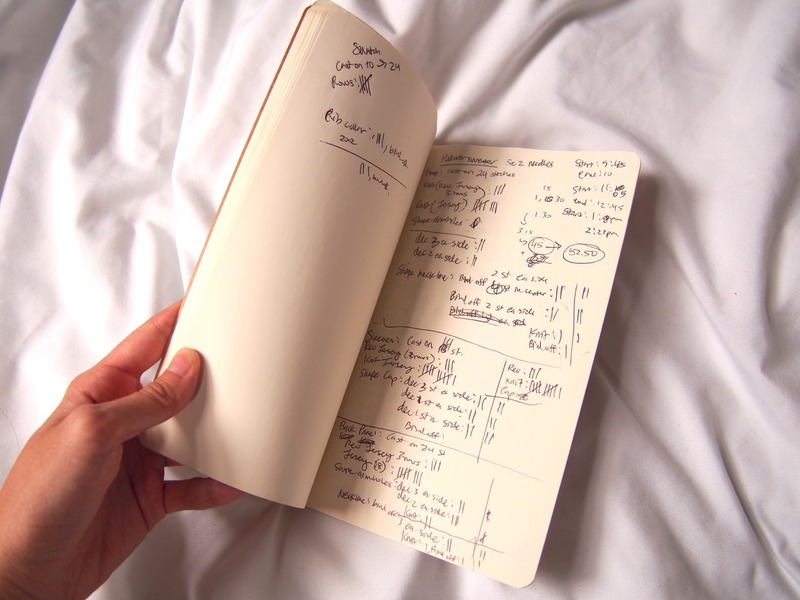 Sometimes I’ll wake up in the middle of the night with an idea, and I’ll have to write it down before I forget it. My problem is that I’ve got too many ideas and things that I want to do and not enough time to do them all. 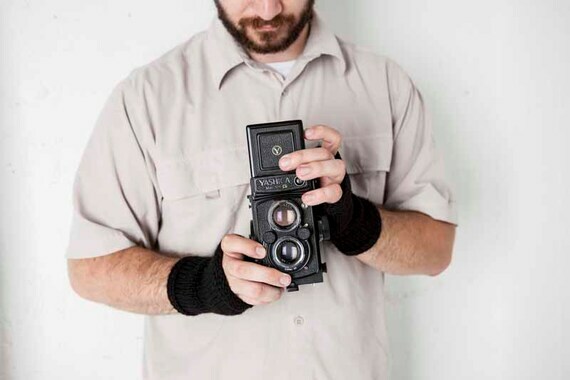 What has been the most technically challenging piece or design that you have knit? Several years ago I made a knitted block blanket with over 100 blocks of unique knitting stitches. No 2 blocks had the same stitch, and it took me over a year to complete it. When I was done I gave it as a wedding present to my favorite cousin. What do you think is the key to a successful Etsy store? The key to a successful Etsy store is 3 fold: great pictures, titles and tags that get you found in Etsy search, and adding new items to your shop constantly. Never ever stop creating and designing. I can’t tell you how many duds I’ve had over the years. You try something, if it doesn’t work, try try again. Don’t give up because something doesn’t sell, go back to the drawing board and try again. How did it feel to make your first sale? My first sale was amazing. I actually did a little dance around the house. It showed me that I could do it, and that people actually liked my designs. I still get that same feeling every time I hear the cha-ching sound from my Etsy app telling me I made a sale. Any advice for those looking to start their own crafts-based business? Be prepared to put in a lot of hours and learn a lot of things that have nothing to do with your craft. It isn’t a 9-5 job. I work my shop everyday from 8AM to after midnight most nights. I’ve had to learn about SEO, how to take better pictures, how to write relevant titles and tags, and descriptions that tell the buyer everything they’ll need to know about the product. You’ll also need to become a shipping manager, supply coordinator, and bookkeeper. Are there any other Etsy stores that you love to follow or often browse? Subrosa is my all time favorite crochet shop. Her designs and use of color is amazing. Pixiebell is my all time favorite knit shop. This shop is run by a husband and wife team that are just phenomenal. The amount of product that they manage to put out is unbelievable. Some day that’s going to be me.